The original Pain Is Love was released in 2001, debuting at number one on the Billboard Chart. In addition, the album had two number one singles, and was eventually certified 3 times platinum in the US. Over ten years later, an incarcerated Ja Rule releases the sequel, Pain Is Love 2 to minimal fanfare. Having not had a charting album since 2004, it is fair to say that Rule has fallen so far off of the hip hop landscape that he is now practically invisible. Gone are the days where Muder Inc. ruled the charts, singles such as 'Always On Time', 'Between Me And You' and 'Livin' It Up' dominated airwaves both at home and abroad. Reassessing former glories forms a central theme of the album. On 'Real Life Fantasy', Ja reminisces about his former label mates, lamenting the fact they never kept in touch and exploring his darker moods: 'None of that matters/ When the mirror shatters/ All I see are pieces of me/ Scattered'. Anita Louise provides a radio-friendly hook, representing just one of several singers on the album. The track listing features no additional rappers, but several unfamiliar R&B names appear. This can be taken as an indication of how far the stock of Ja Rule has fallen in the hip hop world, but it is not necessarily to the detriment of the album. The lack of rhyming support allows the listener to focus on what Rule has to offer, the relatively short 12 tracks providing a cohesive feel to the LP. The vocal talents assisting the album are admittedly not top quality, but there are some bright spots to be unearthed from the rough. Amina particularly shines on the haunting 'Spun A Web', while Leah Siegal is well suited to the rock stylings of 'Parachute' and 'Pray 4 The Day'. The aforementioned rock influence works well throughout the album. 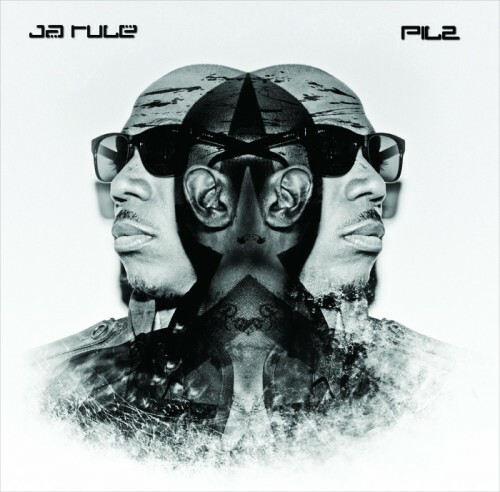 It is clear that Ja Rule regards himself as akin to a fallen rock idol, alternating between bitterness and quiet acceptance that the musical landscape has changed. The electric guitars driving 'Parachute' suit Rule's signature gravelly voice, while 'Pray 4 The Day' finds the rapper in a reflective mood over softer strings. For the main part it is clear that Rule understands his former glory has all but dispelled, and with that the nature of his music must adjust is he is to continue recording. A recourse to the old formula is evident, however, on 'Black Vodka'. The sultry track is sure to appease those nostalgic for the smooth R&B hooks that initially propelled the rapper to the forefront of early 2000 era hip hop. The track is a timely reminder that when he is on form, there are few who can produce the rap/R&B hybrid better. The harder edge to his music, reminiscent of the rambunctious Murder Inc. swagger can be found on 'Believe', Ja growling his way menacingly over the fast paced beat. There are a few notable flaws that bring the quality of the album down, however. If there is an archetypal example of a rapper who shouldn't use auto tune, then it is surely Ja Rule. Unfortunately, he employs this technique liberally on 'Strange Days', the song a struggle from start to finish. A promising instrumental on 'Superstar' is ruined by a lethargic chorus, while 'Drown' has difficulty getting off the ground with a slow, ponderous beat that Ja cannot lift alone. The sagging middle section of the album brings down the quality markedly. This album was never going to be a classic. The composition and recording process were fragmented and subject to various pressures, which shows in the final quality of the finished product. Pain Is Love 2, however, is a refreshingly authentic Ja Rule release, the listener under the impression that only he could have recorded an album such as this. Fans looking for a nostalgia trip will be somewhat satisfied, but may also find something to surprise them. Air Flow From The Cooling Vents Is Poor. • Make sure the air filter is clean. Replace it or clean it if it’s dirty. • Visually inspect ductwork to make sure everything’s properly connected. Check ducts in attics, crawlspaces, basements, and other hard to reach spots. • Make sure registers in each room are open.